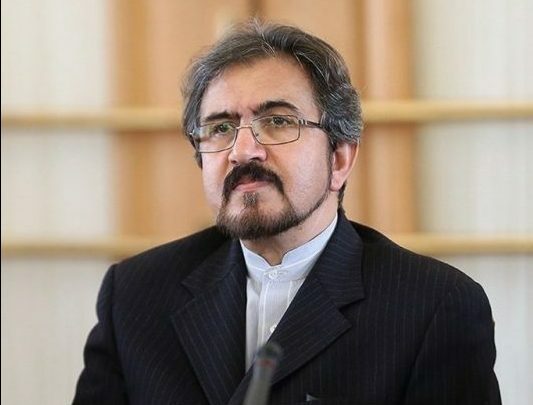 Iranian Foreign Ministry Spokesman Bahram Qassemi dismissed as a downright lie media reports that Tehran and Washington recently held talks to fortify the July 2015 nuclear deal between the Islamic Republic and six world powers. “No new talks have been held between Iran and other parties to the Joint Comprehensive Plan of Action (JCPOA) to change the provisions of the JCPOA and (any report on such talks) is a downright lie,” Qassemi said on Friday. He made the remarks in response to a recent report published by The Wall Street Journal which claimed Iranian officials have engaged in serious discussions about a new plan to sharply cut the amount of radioactive material Iran holds in a bid to shore up the JCPOA and discourage the incoming President-elect Donald Trump from abandoning it. Tehran and the Group 5+1 (Russia, China, the US, Britain, France and Germany) reached the JCPOA in July 2015 and started implementing it in January 2016. Under the deal, Iran agreed to put limitations on its nuclear program in exchange for the removal of nuclear-related sanctions imposed against the country. The JCPOA requires Iran’s storage of uranium enriched to up to 3.67 percent purity to stay below 300 kilograms. Tehran has also agreed to keep its heavy water stockpile below 130 metric tons.